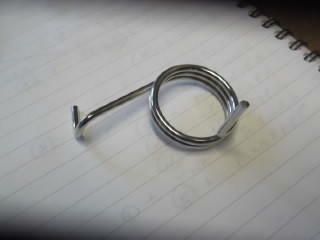 A rear brake pedal return spring for the S-series and KH250/400. S1 S1A S1B S1C KH250 S2 S2A-350 S3 S3A-400 KH400. Finished in bright zinc.